In the heat of the U.S. media's latest war hysteria -- rushing to pin blame for the crash of a Malaysia Airlines passenger jet on Russia's President Vladimir Putin -- there is the same absence of professional skepticism that has marked similar stampedes on Iraq, Syria and elsewhere -- with key questions not being asked or answered. The dog-not-barking question on the catastrophe over Ukraine is: what did the U.S. surveillance satellite imagery show? It's hard to believe that -- with the attention that U.S. intelligence has concentrated on eastern Ukraine for the past half year that the alleged trucking of several large Buk anti-aircraft missile systems from Russia to Ukraine and then back to Russia didn't show up somewhere. So why hasn't this question of U.S. spy-in-the-sky photos -- and what they reveal -- been pressed by the major U.S. news media? How can the Washington Post run front-page stories, such as the one on Sunday with the definitive title "U.S. official: Russia gave systems," without demanding from these U.S. officials details about what the U.S. satellite images disclose? "The United States has confirmed that Russia supplied sophisticated missile launchers to separatists in eastern Ukraine and that attempts were made to move them back across the Russian border after the Thursday shoot-down of a Malaysian jetliner, a U.S. official said Saturday. "'We do believe they were trying to move back into Russia at least three Buk [missile launch] systems,' the official said. U.S. intelligence was 'starting to get indications ... a little more than a week ago' that the Russian launchers had been moved into Ukraine, said the official... whose identity was withheld by the Post so the official would discuss intelligence matters." But catch the curious vagueness of the official's wording: "we do believe"; "starting to get indications." Are we supposed to believe -- and perhaps more relevant, do the Washington Post writers actually believe -- that the U.S. government with the world's premier intelligence services can't track three lumbering trucks each carrying large mid-range missiles? What I've been told by one source, who has provided accurate information on similar matters in the past, is that U.S. intelligence agencies do have detailed satellite images of the likely missile battery that launched the fateful missile, but the battery appears to have been under the control of Ukrainian government troops dressed in what look like Ukrainian uniforms. Instead of pressing for these kinds of details, the U.S. mainstream press has simply passed on the propaganda coming from the Ukrainian government and the U.S. State Department, including hyping the fact that the Buk system is "Russian-made," a rather meaningless fact that gets endlessly repeated. However, to use the "Russian-made" point to suggest that the Russians must have been involved in the shoot-down is misleading at best and clearly designed to influence ill-informed Americans. 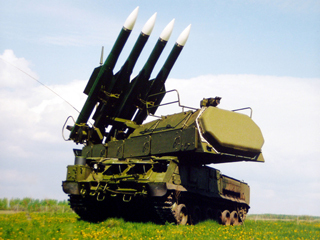 As the Post and other news outlets surely know, the Ukrainian military also operates Russian-made military systems, including Buk anti-aircraft batteries, so the manufacturing origin has no probative value here. Much of the rest of the known case against Russia comes from claims made by the Ukrainian regime, which emerged from the unconstitutional coup d'etat against elected President Viktor Yanukovych on Feb. 22. His overthrow followed months of mass protests, but the actual coup was spearheaded by neo-Nazi militias that overran government buildings and forced Yanukovych's officials to flee. Without bothering to inform readers of Parubiy's unsavory neo-Nazi background, the Post quoted him as a reliable witness declaring: "It will be hard to conduct a full investigation with some of the objects being taken away, but we will do our best."